Congratulations to our Account Manager, Brenna Biggs (formerly Caton) on her recent marriage to Hunter Biggs! 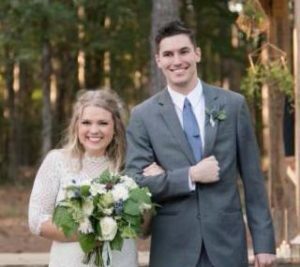 Hunter and Brenna met in 2011 at VCU, they began dating at the end of their college careers, and got engaged in June of 2016. Surrounded by their friends and family, Brenna and Hunter were married in a beautiful afternoon ceremony on September 23rd, 2017 at the Springfield Distillery.